"Rainbow of credit" by Frankieleon, used under CC BY 2.0 / Desaturated from original, with colour filter. In the wake of the financial crisis, there has been a surge of interest in regulating consumer financial products (e.g., Campbell et al., 2011). In the United States, the 2010 Dodd-Frank “Wall Street Reform and Consumer Protection Act” established a Consumer Financial Protection Bureau to monitor and regulate mortgages, credit cards, and other similar products. In July 2013, the European Commission proposed new legislation to simplify disclosures and tighten guidance requirements for financial products. These findings come from a panel dataset of 160 million credit card accounts held by the eight largest banks in the US. The data include account-level information on contract terms, utilization, and payments at the monthly level from January 2008 to December 2012. 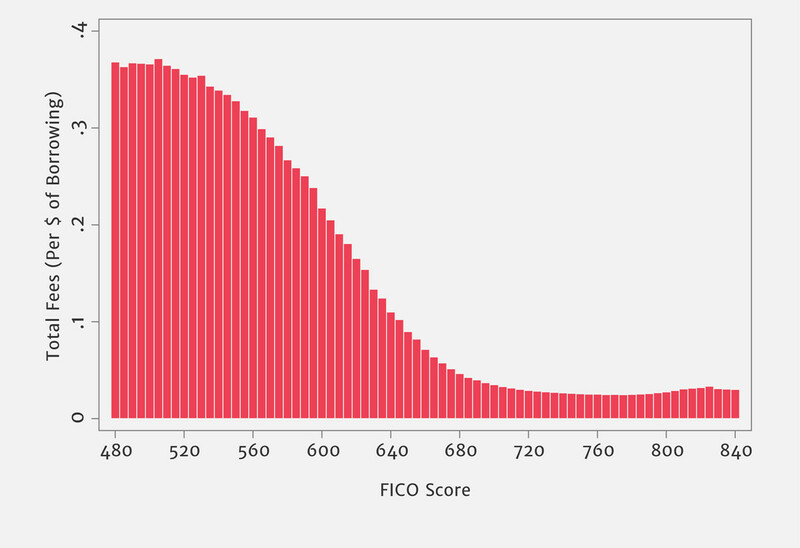 They also include consumers with different levels of credit worthiness: about 30% of consumers in our data have a FICO score of “fair or lower” (below 660) and about 17% have a score of “bad” (below 620). Before the CARD Act, fees were an important source of revenue for banks. In fact, for consumers with low FICO scores, fees were an even greater source of revenue than interest charges. On average, consumers with FICO scores below 620 paid about 25 cents in fees per year per dollar of the amount they owe, averaged over the year. This adds up to about $188 per account per year in fees. 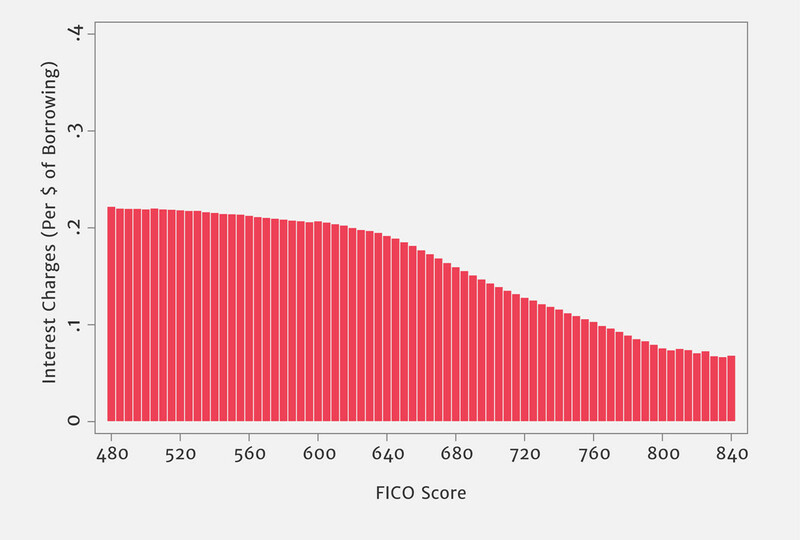 In comparison, consumers with FICO scores above 620 paid only $166 per account per year on interest charges. The two most important fee categories— over-limit fees and late fees—jointly accounted for 57% of fee revenue and were specifically targeted by the CARD Act fees restrictions. We focus our analysis on these two types of fees, but also examine other fees to see if there was an offsetting response. In February 2010, over-limit fees became “opt-in;” that is, unless cardholders explicitly permitted banks to charge these fees, companies could either decline over-limit transactions or process them without charging a fee. Panel A shows that for consumers with FICO scores below 660, who paid the most fees in the pre-CARD Act period, there was a sharp decline in over-limit fees exactly when the fee restrictions came into effect: 3.3 cents per dollar of borrowing or $35.78 per account per year. 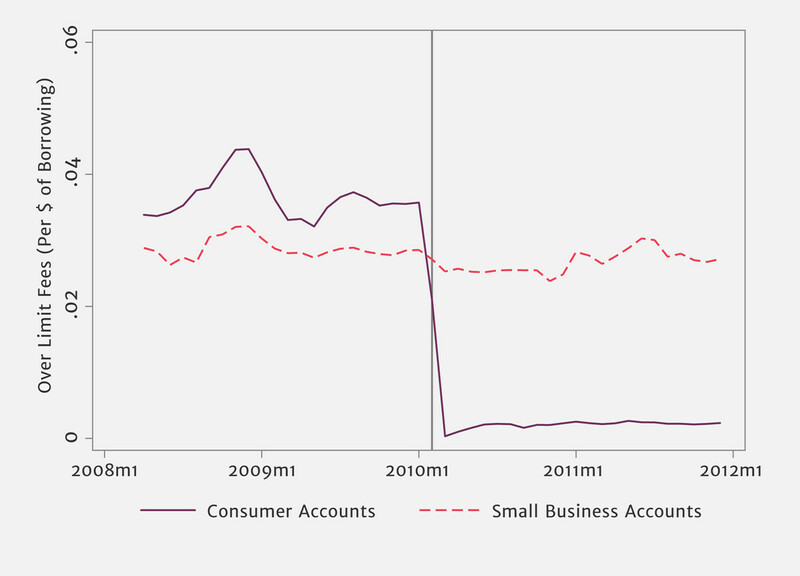 1 In contrast, fee revenue from small business credit cards, which were not affected by the regulation, remained unchanged. Panel B shows that, for consumers with FICO scores above 660, over-limit fee revenue also dropped albeit by a smaller amount since these consumers were paying less in fees before the CARD Act. Next, we study the restriction on late fees. 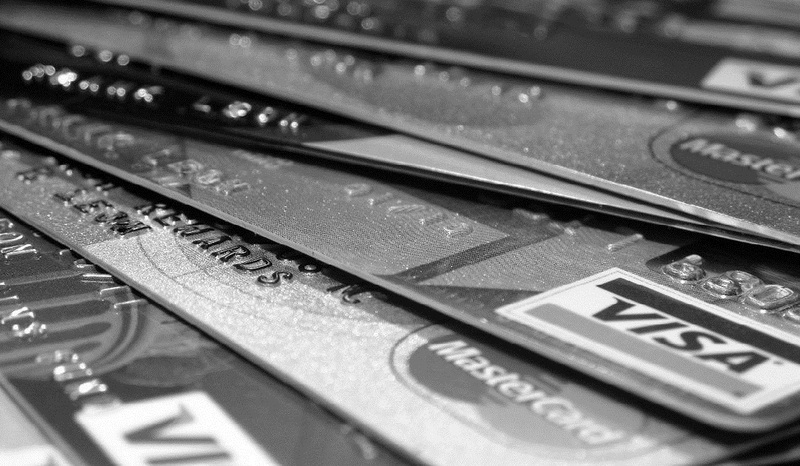 Before the CARD Act, nearly all consumers would pay $40 for each infraction. In August 2010, late fees were capped at $25 per infraction or $35 if one of the previous six payments was also late. 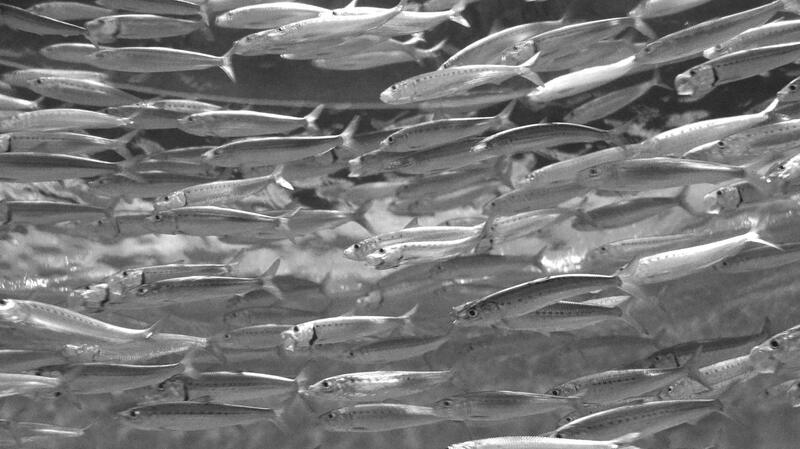 By the end of our sample, nearly two-thirds of late fees were assessed at the $35 level, indicating that most late fees are paid by consumers who are habitually late. 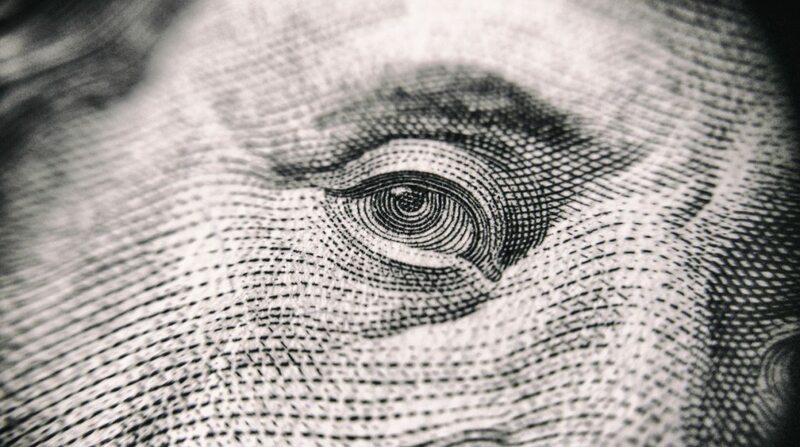 Despite the drop in late fees, we do not detect any change in the frequency of late payments. One explanation is that late fees are non-salient to consumers: they are hidden fees. 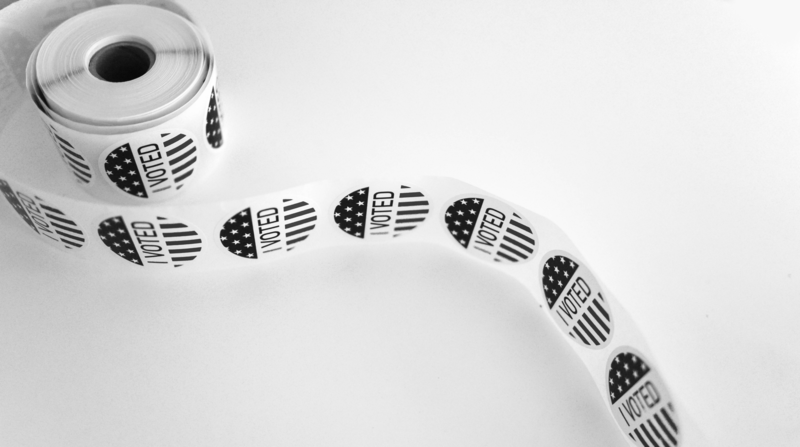 The CARD Act also included a provision to nudge consumers to pay off a larger fraction of their balances and reduce their overall interest payments (Thaler and Sunstein, 2008). The nudge took the form of a payoff disclosure: consumers’ monthly statements were required to prominently display the cost of repaying the balance when only making minimum payments compared with the cost when making payments that would pay off the balance within 36 months. We find that this repayment nudge had a small but statistically significant effect on borrowers’ repayment behavior. Before the CARD Act, 40% of consumers with a FICO score below 620 repaid the minimum balance or less each month; on average, 27.7% of consumers repaid the minimum or less. 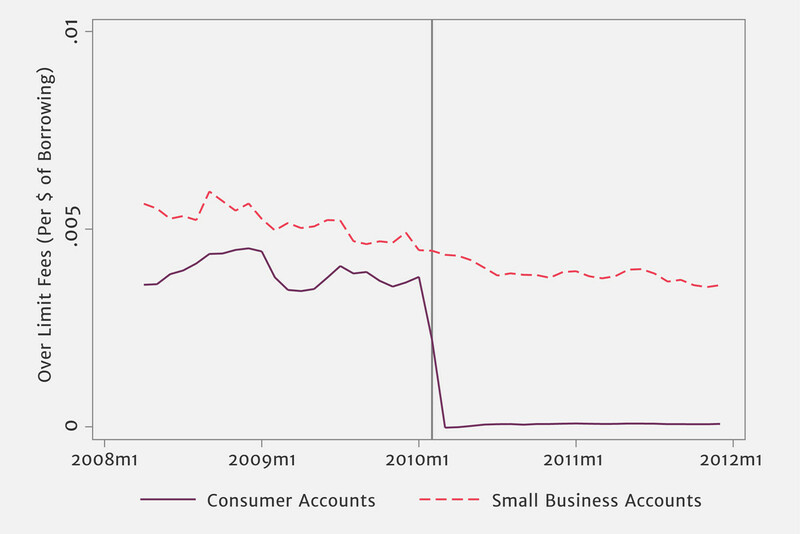 Figure 5 shows an uptick in the share of accounts paying the 36-month amount after the CARD Act. In particular, the share of accounts making payments close to the 36-month amount increased by 0.4 percentage points on a base of 5.3%. We are unable to conclusively determine whether the account holders who shifted to the 36-month payment value would have counterfactually been making higher or lower payments. To estimate an upper bound for the effect of the nudge, we assume that these consumers would have made payments of $0 in the counterfactual scenario. Given this assumption, we calculate that the nudge reduced aggregate interest payments by 0.01 cents for every dollar of borrowing or approximately $57 million a year. While these savings might be important for the consumers who were induced to change their behavior, because only 0.4% changed their payments, the aggregate effect is much smaller than the impact of fee restrictions. One caveat to this result is that these payment disclosures are rarely viewed by individuals doing online banking. This means that while we pick up the full effect of the CARD Act regulation, we might understate the possible effect of a regulatory design that could achieve wider awareness of these disclosures. What about any unintended consequences of fee restrictions? Some industry observers conjectured that credit card issuers would respond to the loss in over-limit and late fee revenue by increasing annual fees. We do not observe an increase in annual fees or any other type of fee in our data. We calculate that CARD Act fee restrictions reduced total fees for consumers with FICO scores below 660 by $57.69 per account per year, and reduced overall fees by $22.58 per account per year. Extrapolating this number to the total outstanding credit card balances of $744 billion in the first quarter of 2010 (FRBNY, 2013) yields annual cost savings to U.S. credit card users of $11.9 billion a year. We also examine whether offsetting increases in interest rates took place. 2 Since consumers with FICO scores below 660 experienced a fee decrease of 5.3 cents per dollar of borrowing, to fully offset the reduction in fee revenue, interest charges for consumer credit cards would have to increase by 5.3 cents per dollar of borrowing relative to those for small business cards. 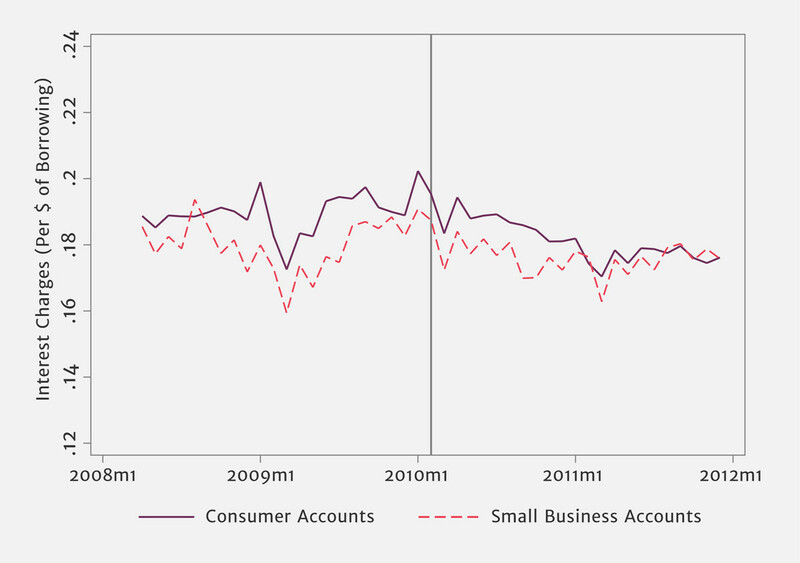 Figure 6 shows that there is no evidence of an anticipatory increase in interest charges for consumer cards prior to the CARD Act, and no evidence of a sharp or gradual increase after the provisions are implemented. Our difference-in-differences point estimate for the interest charge offset is zero, and we can rule out with 95% confidence an interest increase offsetting more than 61% of the fee savings. In addition, we find no evidence of an offsetting increase in interest charges for new accounts, for which banks are less constrained in their ability to adjust contract terms, and no evidence of an increase in other sources of credit card income (e.g., interchange fees) or a reduction in measures of costs (e.g., marketing and operational expenses). We show that there is no evidence of a decrease in the volume of credit, as measured by credit limits and borrowing, and no effect on the number of new consumer credit accounts, although our standard errors for these estimates are too large to rule out meaningful effects in either direction. Overall, we find that the CARD Act successfully reduced borrowing costs, in particular for borrowers with the lowest FICO scores. 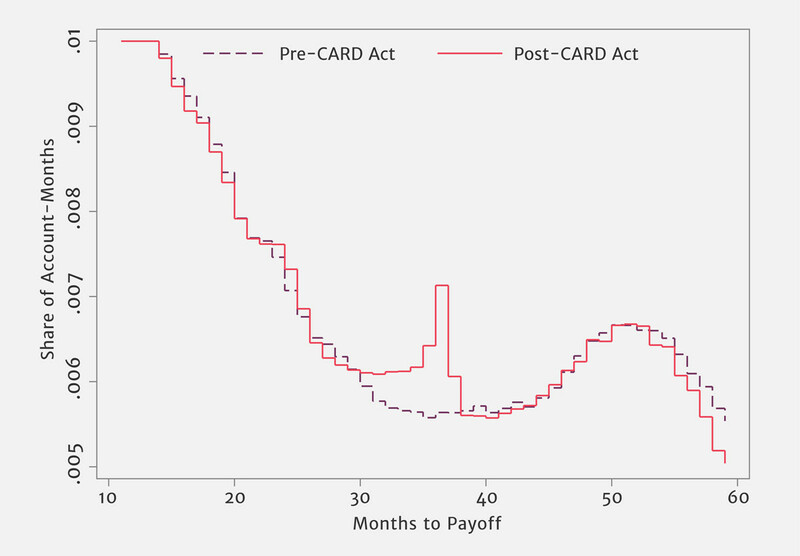 While our two years of post-CARD Act data do not allow us to investigate the longer run effects of the CARD Act on industry exit or entry, or effects on margins with multiyear contracts (e.g., promotional agreements) or lumpy long-run investments (e.g., IT infrastructure and credit-scoring models), we interpret the results as demonstrating that regulation of “hidden fees” can bring about a substantial reduction in borrowing costs, at least in the medium run, without necessarily leading to an offsetting increase in interest charges or a reduction in access to credit.